"My main job is to awaken the knowledge and love for the divine things that are already in your heart. You are Soul. You are a child of God. "And your spiritual destiny is to become a Co-worker with God, to spread divine love to all those around you." Welcome to the Wonderful World of ECK! The Eckankar center in your local area is open and available for you to browse through books, attend an ECK Light and Sound Service, join in a community HU Chant, or participate in a spiritual discussion or book discussion class. "Singing HU has been practiced for thousands of years in one form or another for inner attunement. In the same way a musician can use a tuning fork to find the right pitch, the person singing HU tunes in to a higher spiritual awareness." Hear the heart-opening sound of thousands of Souls singing this beautiful, powerful love song to God at www.HearHU.org. Discover how HU brings miracles at www.MiraclesInYourLife.org. 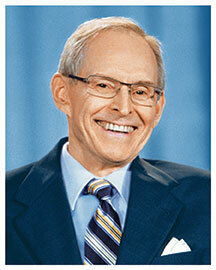 Short video clips of Harold Klemp speaking on dreams, past lives, Soul Travel, health and healing, relationships, conquering fear, and other subjects are available at the Eckankar official site on YouTube as well as on the official main site of Eckankar. Copyright © 2012- ECKANKAR. All rights reserved. This copyright applies to this home page and all other pages of this Web site. The terms ECKANKAR, ECK, EK, MAHANTA, SOUL TRAVEL, and VAIRAGI, among others, are trademarks of ECKANKAR, PO Box 2000, Chanhassen, MN 55317-2000 USA. The opinions expressed in this site are those of the writers and not necessarily those of ECKANKAR or the Mahanta, the Living ECK Master, Sri Harold Klemp.